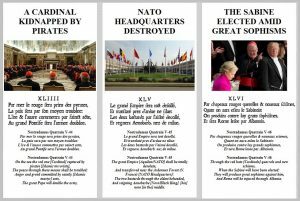 When I started this Website at the end of 2007, I had made interpretations of Nostradamus’ prophecies that predicted an Islamic takeover of Europe. I saw this more as a conventional military war involving armies, and that is the way I assembled over one thousand prophecies into a coherent theme. Barack Obama’s Arab Spring, implemented by his Secretary of State Hillary Clinton, began the wholesale destruction of the Middle East and North Africa. There is no denying this fact of our Shared Reality. Nostradamus called it The Great Proscription. D’un ieune noir rempli de felonnie. Of a young Black [King] filled with felony. Proscription comes from the Latin word Proscripto. The Roman Empire coined the word to designate its allies and enemies. 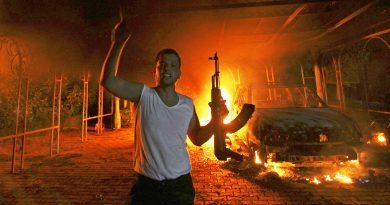 The administration of Barack Obama engineered and executed The Arab Spring. 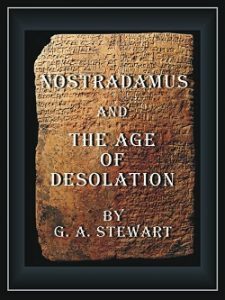 My mistake in the 2010 and the 2013 editions of Nostradamus and the Age of Desolation was my naiveté in psychological warfare operations. I was thinking of a war that deployed soldiers, ships, airplanes, and tanks. With full control of multiple levels of the Mainstream Media, The Arab Spring and the Color Revolutions were sold to the world as “Everyone wants freedom”. The reality is that this was the beginning of a NATO Soft Invasion of the Middle East, North Africa, and Ukraine. Russia has drawn a line in the sand with Syria and Ukraine. As you will read, Nostradamus gives the years of 2013 and 2014, both further confirmation of my theory of a dating code. 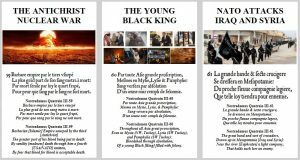 In the paragraphs below, you will also see how the years 2011 and 2012 appear repeatedly throughout The Quatrains, The Presages, and The Sixains, specifically identifying countries involved in The Arab Spring. 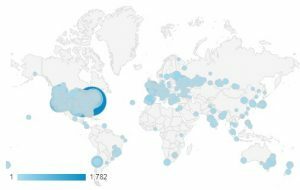 In 2018, hopefully readers can see the social engineering behind these events. Quatrain III-60 is part of a special set of Triplicates. 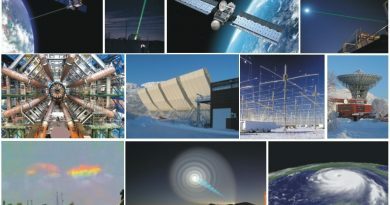 These in turn are part of a series of Triplicates related to World War III; however, I have not posted these on this Website. 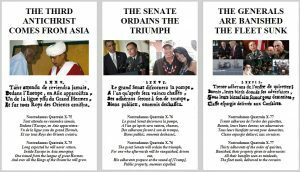 Using the embedded dating code Nostradamus introduced into certain prophecies, I supplied the years that these events were to occur long before they appeared as news headlines. They are posted on this Website for the entire world to read. I might have made some minor interpretive errors, yet on the whole, the world situation has unfolded as I first wrote in 2007. Over the years, it has been a strange feeling watching Barack Obama, Donald Trump, and Vladimir Putin appearing on the world stage and fitting Nostradamus’ descriptions of important world leaders that would appear at the time of The Apocalypse. Whether I am right or not, time will tell. I know it is difficult for The Common Person on the Street to understand the audacity of The New World Order’s Plan. It is essentially The Stealth Invasion of the West allowed by treasonous world leaders willing to destroy their ethnic heritages for personal gain. The governmental powers of the West have apparently implemented a silent plan to change the social demographics of participating countries by introducing large numbers of immigrants dependent on government entitlements and benefits. They are a future mercenary army for use by these same politicians and leaders. Many people blame George Soros; however, it is much bigger and much older than George Soros, Jacob Rothschild, the House of Saxe-Coburg, the House of Orange-Nassau, the Warburgs, or the Vatican. These people are future slaves who will be tasked with destroying the local populations of their host countries. There is no deep mystery to the meaning of life. The only reality is the Ruling Empire that rules over each of us individually. History is all about Ruling Empires. Humanity is at the historical cusp of another change in Ruling Empires. I believe the metaphysics of why can be found in Nostradamus’ Epistle to Henri below, but to sum it up, I believe it generally involves a change of Ruling Gods. Existential thought is in the process of being eradicated. Empires are all about extracting resources, and cheap labor and slavery are the primary resource. Just as in the Blade Runner movies, the Biological Replicants have become too self-aware. 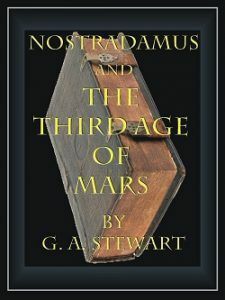 There has been a great amount of movement in the last few weeks, and it all fits what I have outlined in Nostradamus and the Third Age of Mars, Volume I. The great Empire of the Third Antichrist will begin [when NATO forces attack Serbia on March 24th, 1999] where Attila first appeared in history. 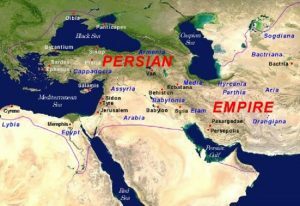 And then the great Empire of the Third Antichrist will end [when NATO forces go to war with Russia and Iran] where Xerxes once ruled. [The defeat of Western forces will give birth to a New Xerxes, who will lead an Islamic army that will be allied with the Chinese], and they will descend on Europe in great and countless numbers. It was President Bill Clinton and Tony Blair who led the NATO intervention in the Kosovo War during the breakup of Yugoslavia. 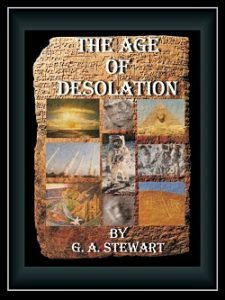 As you will read in Chapter Fifteen, Nostradamus had some very specific predictions concerning this area of the world and the appearance of two of history’s most memorable characters, Attila and Xerxes. 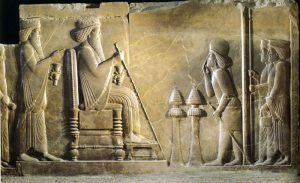 Attila first appeared in the Kosovo region and Xerxes, of course, ruled ancient Persia, present day Iran. So many, the coming of the Holy Ghost, proceeding from the 48th degree, will make a transmigration, driving out the abomination of the Antichrist, making war upon the great vicar of Jesus Christ and against his Church, whose reign will be for a time and to the end of time. So many soldiers from the armies of China and Islam will then proceed along the 48th parallel through Kazakhstan that war will come to all the Christian Churches of the West. [The Holy Ones of Heaven] will then descend and end the abomination of war started by the Third Antichrist. Migrating to this world, they shall protect those who support the teachings of Jesus Christ, who shall reign for a time and to the end of time. Attila attacked the Roman Empire and tried to take Rome, but failed. 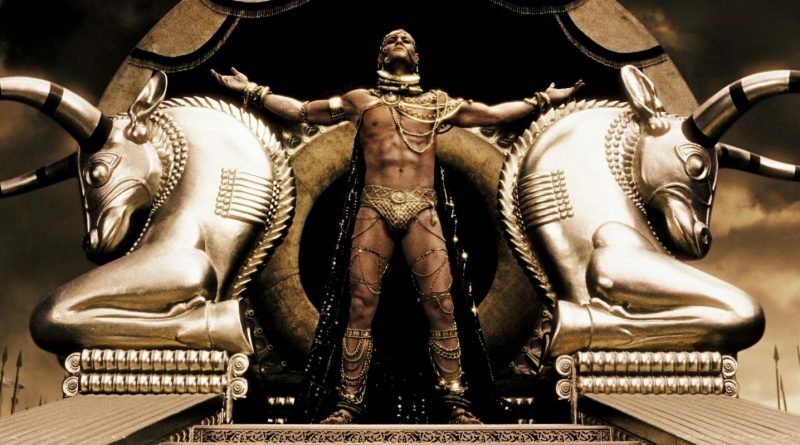 Xerxes tried to conquer Greece, but failed. Nostradamus is giving his readers historical allusions. The introduction of “the coming of the Holy Ghost” invites much speculation that I have only touched upon throughout the previous chapters. 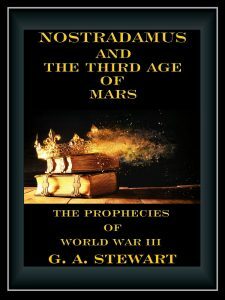 Otherworldly intervention in humanity’s history and future is in Nostradamus’ writings, and I examine that in Chapter Eighteen. This particular passage in Nostradamus’ Epistle to Henri is similar to “George Washington’s Vision”, first published in 1859. Edgar Cayce also predicted that the “raising up” of a New Xerxes was essential to the return of Jesus Christ. In this same pyramid did the Great Initiate, the Master, take those last of the Brotherhood degrees with John, the forerunner of Him, at that place. As is indicated in that period where entrance is shown to be in that land that was set apart, as that promised to that peculiar peoples, as were rejected – as is shown in that portion when there is the turning back from the raising up of Xerxes as the deliverer from an unknown tongue or land, and again is there seen that this occurs in the entrance of the Messiah in this period – 1998. If Jesus Christ returned in 1998, it went under the radar. 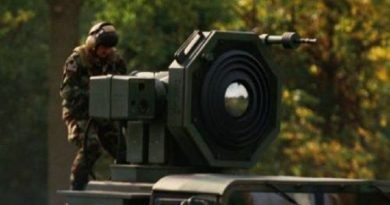 Since The Group of Eight Nations formed in 1997 and NATO attacked Serbia in 1999, I believe these events have paved the way for the appearance of all the familiar characters involved in prophecies of The Apocalypse. One thing is clear from both Nostradamus’ prophecies and Edgar Cayce’s prophecies, war with Iran will bring the destruction of the United States. It is not mere coincidence that news commentators and opinion writers are now talking about a Second American Civil War. That prediction has been on this Website for over a decade. Unless there is, then, a more universal oneness of purpose on the part of all, this will one day bring – here – in America – revolution! Who shall proclaim the acceptable year of the Lord in him that has been born in the earth in America? Those from that land where there has been the regeneration, not only of the body but the mind and the spirit of men, THEY shall come and declare that John Peniel is giving to the world the new ORDER of things. Not that these that have been proclaimed have been refused, but that they are made PLAIN in the minds of men, that they may know the truth and the truth, the life, the light, will make them free. It (The Great Pyramid) was formed according to that which had been worked out by Ra Ta in the mount as related to the positions of the various stars, that acted in the place about which this particular solar system circles in its activity, going towards what? That same name as to which the priest was banished – the constellation of Libra, or to Libya were these people were sent. If there is not the acceptance in America of the closer brotherhood of man, the love the neighbor as self, civilization must wend its way westward – and again must Mongolia, must a hated people, be raised. Is it filling its destiny? …America has become not only the greater of these that have sent those that would make known secular ways but has also – does harbor within its bosom those things of other lands that are making, as it were, a leaven to the whole. And here, there – for, as given, His messenger shall appear there. Hence, is finding those that make the paths straight. Et plus grand mal par austre Pannonois. And greater harm through Austria and Pannonias (Hungary). We are also closing in on the end of July. This was Q’s self-imposed deadline to reveal to the world that Conspiracy Theory is Conspiracy Fact by making public some very dark secrets. Q is consistently attacking Twitter and Facebook, and this week we have seen the stock value of these companies collapse. Is this the opening salvo? As I continually repeat, I am selling my interpretations of Nostradamus here. This is a predatory world, it would be wonderful if Trump and Q had the same good intentions as Santa Claus and the Tooth Fairy, but everybody has an agenda. 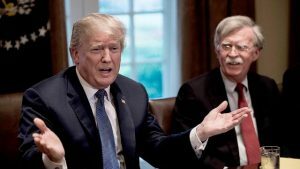 President Donald J. Trump will be made history’s biggest fool if he drops one bomb on Iran. Deceu sera par ceulx de son langage. They will be deceived by those of their own language. 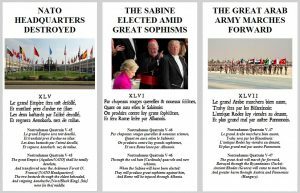 Just as we read in Quatrain X-75, although “trompés” means, “deceived”, it also works very nicely as “Trump”. As I have mentioned, there is a superposition of meaning here, especially in regard to, “at having elected, [Trump/deceived] about the age”. “Scarcely with them not wanting to stay on” suggests that major members of Trump’s administration are going to defect. It is another Quatrain concerning trouble around the election of a new leader. Since we have an indication in line two that this involves elected leaders, we can then be certain that “la grande pesche” is “pêche” meaning “fish” or “fishery” and not Peach. Taken from a Christian religious perspective, “the great fishery” is the public, the masses, the electorate. “Guiere” becomes problematic. Is it “guère”, meaning scarcely or is it “guerre”, meaning war or conflict? Is this another hint at the multidimensionality of certain Nostradamus’ words? “Demeurer” can also mean abide or support besides the usual translation of “stay on” or “remain”. With those possibilities in mind, an alternative to line three could therefore read, “War they will not abide or support”. Classe espargie deliurez aux corsaires. The fleet sunk, delivered to the corsairs. 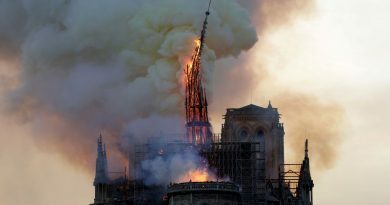 Who will make such an abominable breach in the Churches that neither the reds nor the whites without eyes nor hands will know what to make of it. And their power will be taken from them. Neither Christians nor Muslims, without communications or mobility, will understand what is happening to them. Their technological power will be taken from them. En debats Princes & Chrestienté esmeuë. Gentils estranges. siege à CHRIST molesté. Venu tresmal. prou bien. mortelle veuë. Mort Orient peste, faim, mal traité. In debates Princes and Christendom stirred up. Foreign nobles. CHRIST’S see molested. Becoming very evil, much good, mortal sight. Death [in the] Orient, plague, famine, evil treaty. 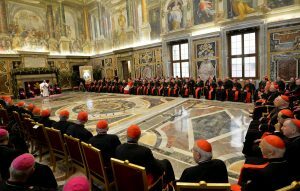 Au grand Pontife sera l’armee doublee. The great Pope will double the army. I suspect that our Shared Reality will unfold along the lines of the prophecies I have listed in this Post. The United States coup is in-progress. 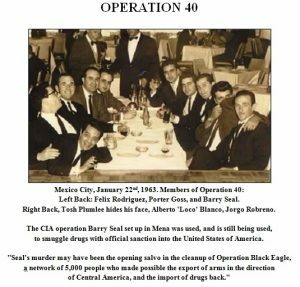 That is a picture of Porter Goss and infamous CIA pilot Barry Seal. 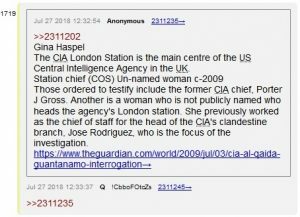 Both were part of the CIA’s Operation 40 Group. Whether Q’s misspelling is intentional or not, who knows. I have no interest in following Q’s crumbs. I followed the trail a long time ago. 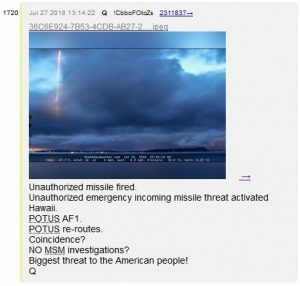 I look to The Q Messages for a Situation Report on Real-Time Spook activities. This is Not a Game! The world can change in one second. Hopefully, readers can appreciate my interpretations of Nostradamus’ prediction that Great Britain and MI6 will help restore Barack Obama to power. Great Britain and MI6’s involvement in The Trump/Steele Dossier is proof that I am clearly on the right track.